Anna and her family have only one hope left to escape certain doom. It's 1936 and life is becoming dangerous for the Jews of Krakow. As incidents of violence and persecution increase day by day, Anna begs her father to leave Poland, but he insists it's impossible. How could he give up his position as an acclaimed clarinetist in the Krakow Philharmonic Orchestra? When Anna and her father barely escape from a group of violent thugs, it becomes clear that the family must leave. But how? There seems to be only one possibility. Bronislaw Huberman, a world-renowned violinist, is auditioning Jewish musicians for a new orchestra in Palestine. If accepted, they and their families will receive exit visas. Anna and her grandmother boldly write to Huberman asking him to give Anna's father an audition, but will that be enough to save them? This poignant story is based on real events in pre-war Poland and Palestine. After saving 700 Jews and their families, Huberman went on to establish what later became the Israel Philharmonic Orchestra. 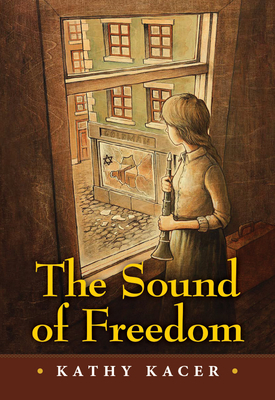 Against an ominous background of the impending Holocaust in Europe and the first Arab-Israeli war, The Sound of Freedom still manages to remind the reader of the goodness in the world.